Presented at the 1960 Turin Motor Show, the "Praho" is a prototype of a luxury coupe, created on the very first 2000 Sprint chassis. The car name is due to the particular concave shape of the rear window, inspired by the homonymous Malaysian ships, of which the engineer Bianchi Anderloni has found the images in a book. This solution allows a better aerodynamic efficiency and a greater luminosity for the passengers. Inside, the dashboard has all the tools grouped together in a center console, a cutting-edge solution inspired by aviation. 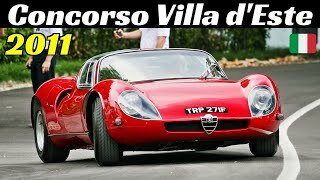 In 1967, the car is sold to the Minetti dealer of Milan, but finds no buyer for forty years, until moving to a collector in Singapore, and then back to Italy.